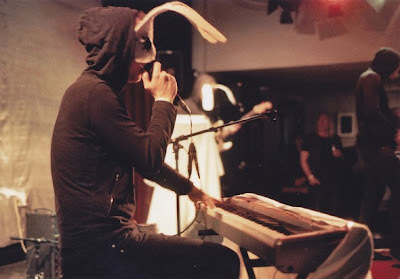 The live show may feature a half dozen bunny-masked mentalists but electro-ambient Danish group Sleep Party People is pretty much the brainchild of multi-instrumentalist Brian Batz. As the name suggests, Sleep Party People are not exactly recommended for peak-of-party playlists but their soothing dream-world creations go down a treat in the early hours. Counting compatriots Efterklang as big fans, debut offering Sleep Party People was followed earlier this year by the long awaited We Were Drifting On A Sad Song. Both should be invited to play in your earholes.